Wargaming Store: Permanent Price Drops! We are introducing some permanent price reductions to our large collection of bestsellers on the Wargaming Store. If there's something you've had your eye on for a while, now's your chance to snap it up for an irresistible new price! 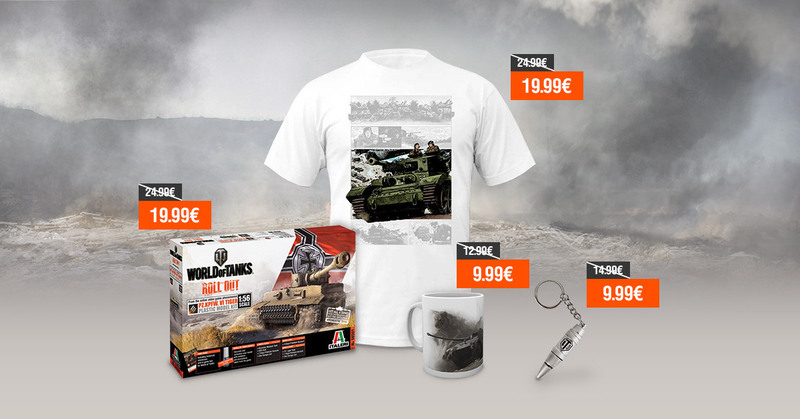 Roll out in style with our World of Tanks Comic Print T-Shirt, unleash your creativity with the Pz.Kpfw VI Tiger Tank Model Kit (1:56), handle our High Explosive Shell Keyring with care, or just kick back and relax with a nice hot drink in our Tiger II Mug!